The UN Security Council decision to end the 21-year-old arms embargo has raised concerns in Somaliland on the preparedness of the Federal Government. The north western breakaway region of Somaliland, expressed discontent over the UN Security Council decision to partially lift the 21 year old arms embargo ban on Somalia, Garowe Online reports. The Somaliland government's Foreign Affairs Minister, Mohamed Abdullahi Omar, spoke to BBC Somali Service on Thursday [7 March 2013] and stated that the Security Council did not evaluate the consequences of the partial lift. 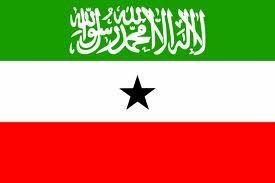 "We [Somaliland] recognize the decision by the Security Council as a decision that was not properly examined nor assessed. And we believe it is ill-timed an decision that could bring insecurity to East Africa," said Minister Omar. In the Britain proposed resolution passed on Wednesday [6 March 2013], the Security Council member state reasoned that it 'recognized' that the SFG "has a responsibility to protect its citizens and build its own national security forces." The Minister cited Somaliland's concern was that the SFG's reach is limited and that regions' forces are not integrated into a Somali National Force. "The Government in Mogadishu is a new administration, it hasn't passed Mogadishu. There isn't a national military that operates in all of Somalia; Jubaland, Puntland, Baidoa and Somaliland have their own military forces," said Omar. The Minister stated that the arms embargo lift for the SFG could cause insecurity in other regions in Somalia. "The [arms embargo lift] has to be equally administered and the regions and states need to take part in the process. But the Mogadishu administration is in its infancy and hasn't gained the affirmation of the other regions," stated Minister Omar. Amnesty International expressed its concern over the arms embargo lift stating that it was "premature". The humanitarian group said that the partial lift could send Somalia into a greater conflict without the proper safeguarding mechanisms. Last month [February 2013], Puntland stated that an arms embargo lift could carry serious implications for Somalia if measures are not taken to ensure proper use. The Somali Eritrea Monitoring Group (SEMG) will continue monitoring arms being brought into Somalia and will report monthly on the status of the partial arms embargo lift. The SEMG reported last year that there was a proliferation of arms into Somalia despite the 21 year ban.